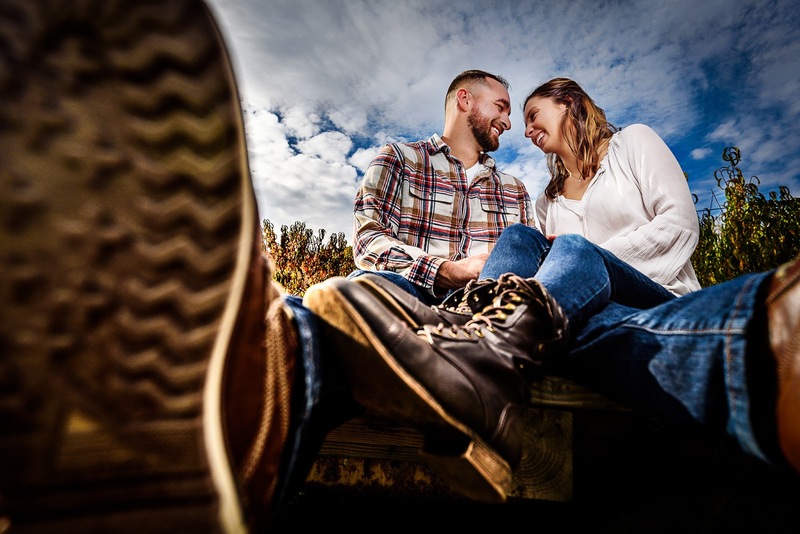 As soon as we met Jessica & Eric via video chat we knew we would have a lot of fun with them. 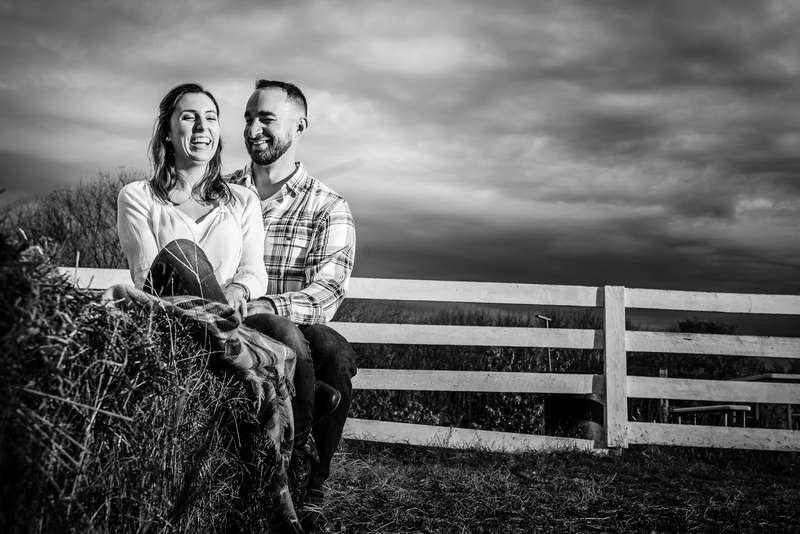 They laughed at all of Nick's jokes and they really are our ideal clients! 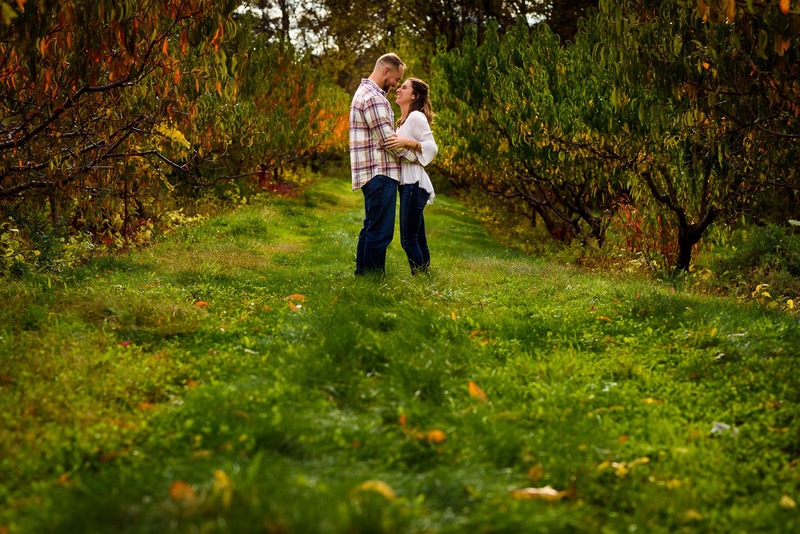 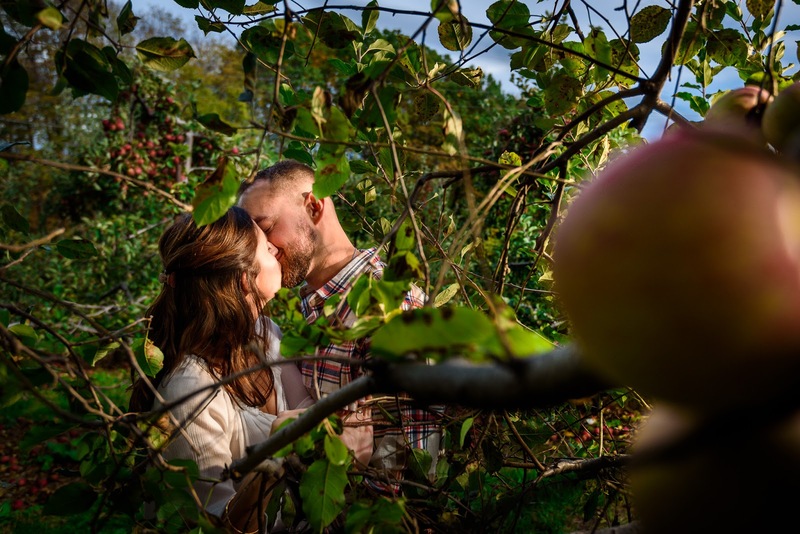 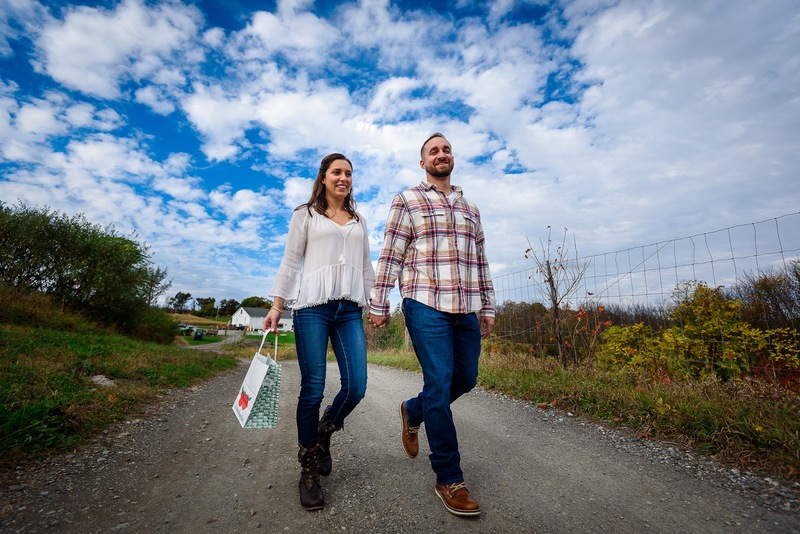 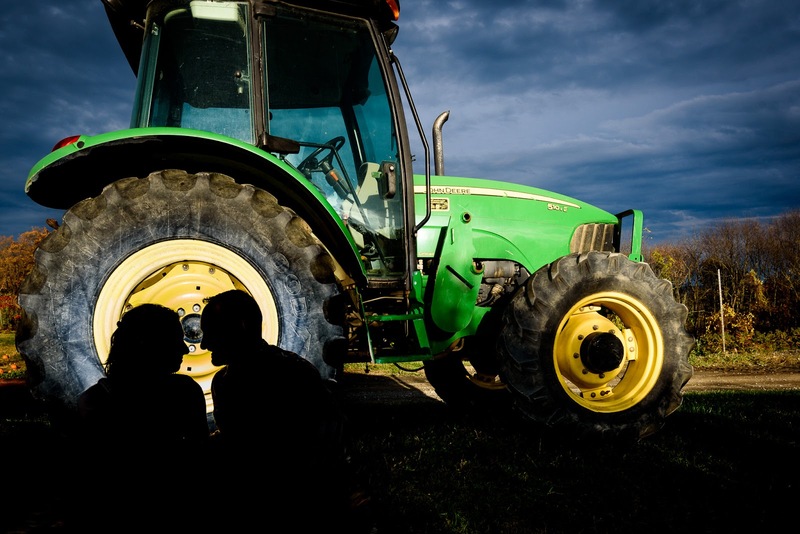 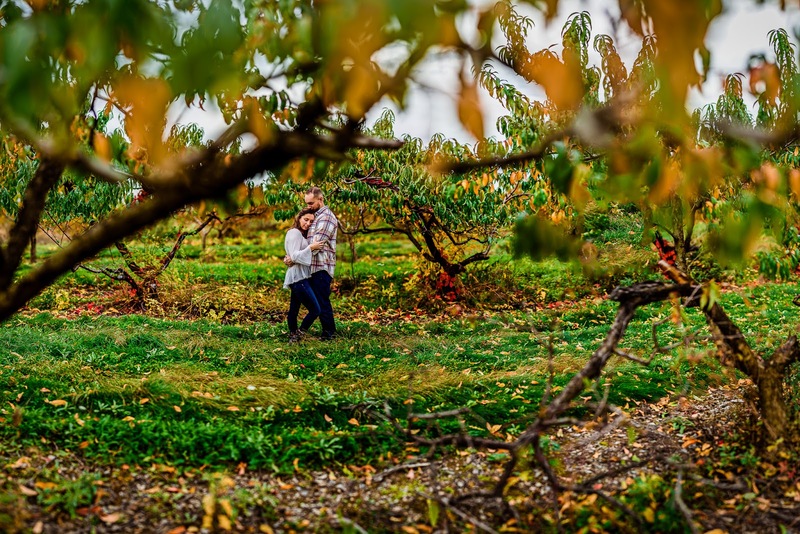 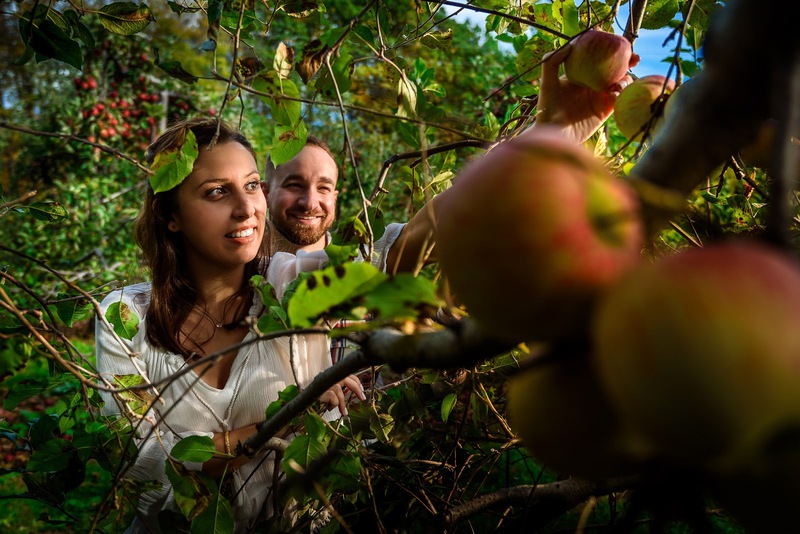 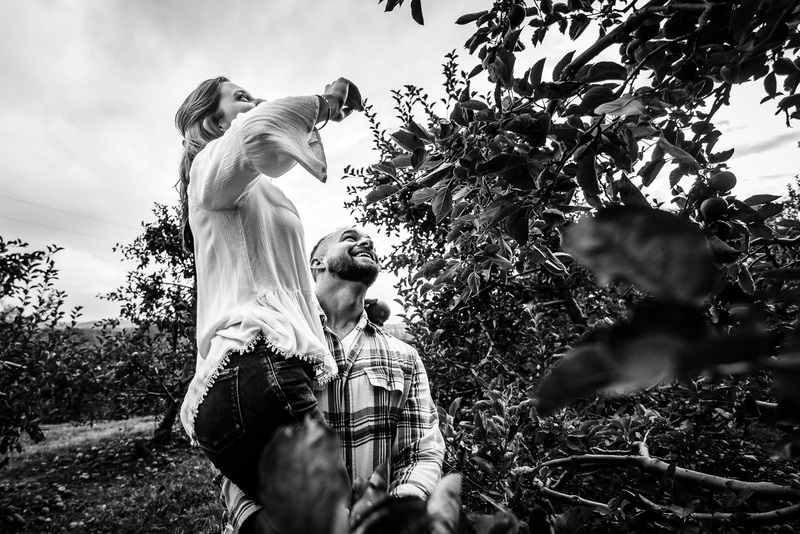 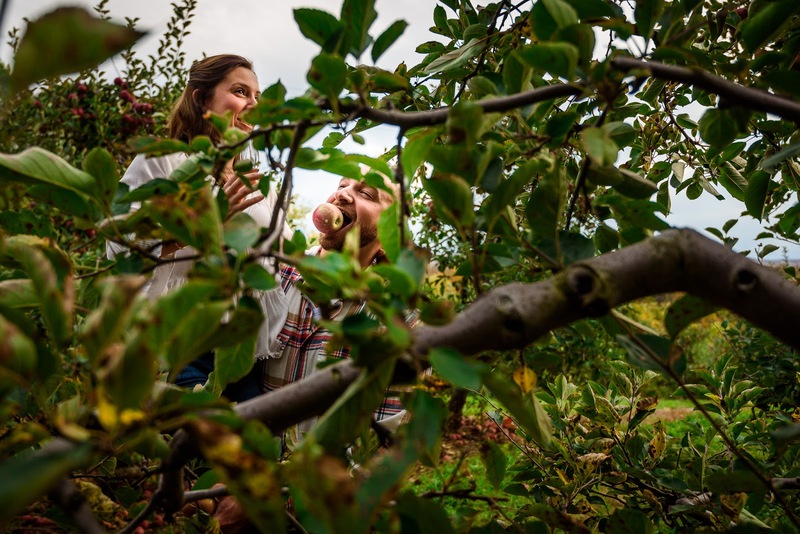 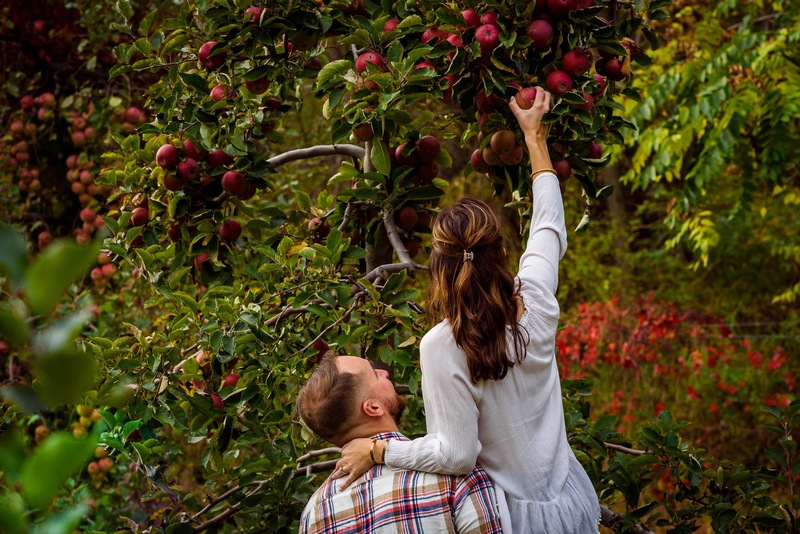 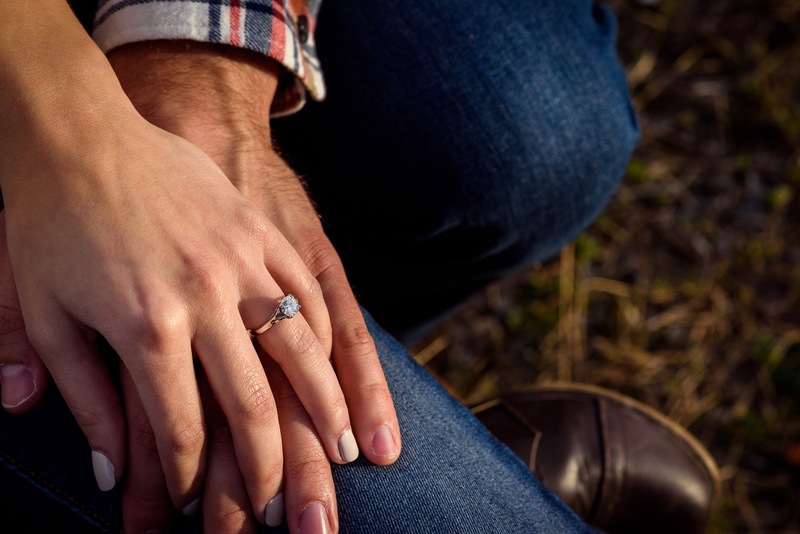 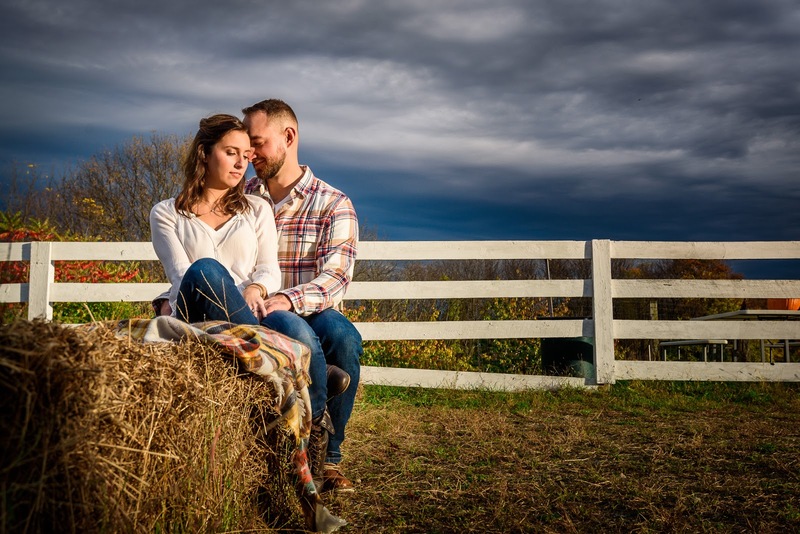 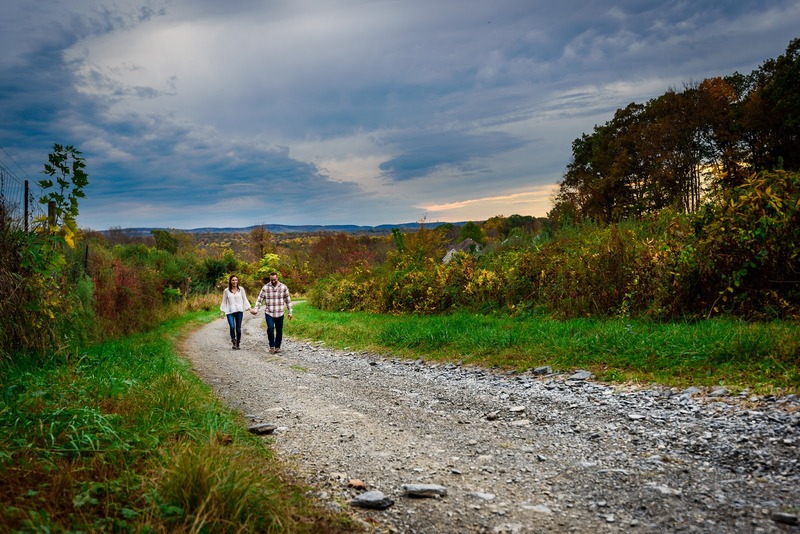 So as soon as they suggested that we do their engagement session at an Apple Orchard, Windy Brow Farms, near their place we knew it was the perfect idea. 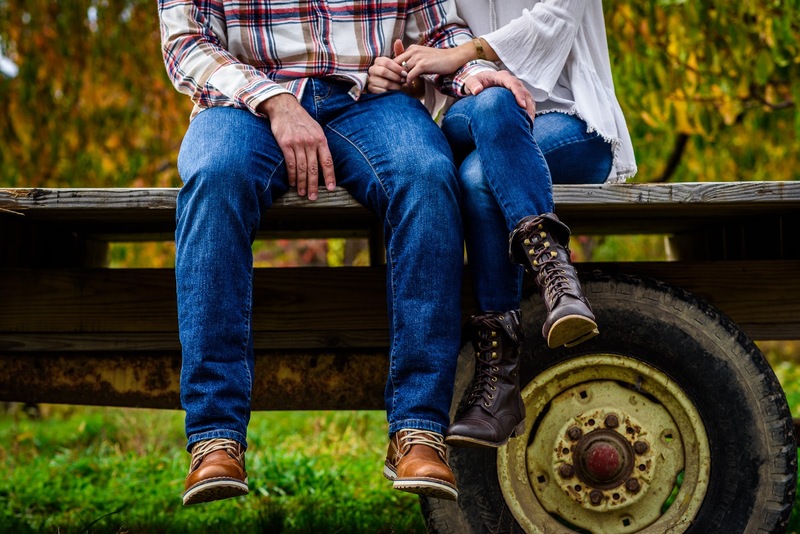 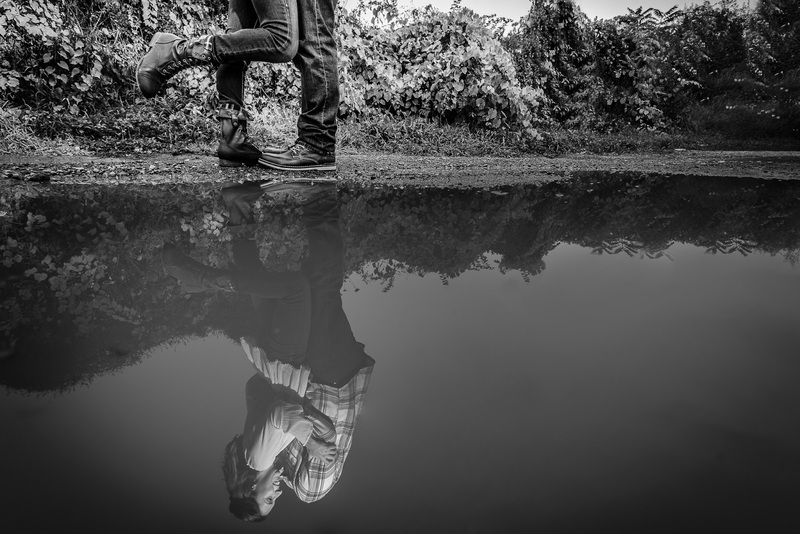 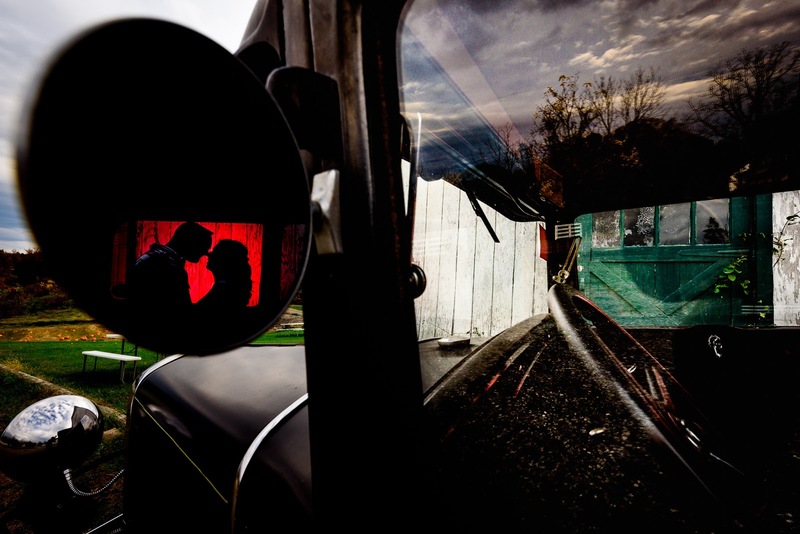 We were able to see them in their element and doing something they do on a yearly basis, which is how we really love to photography our couples. 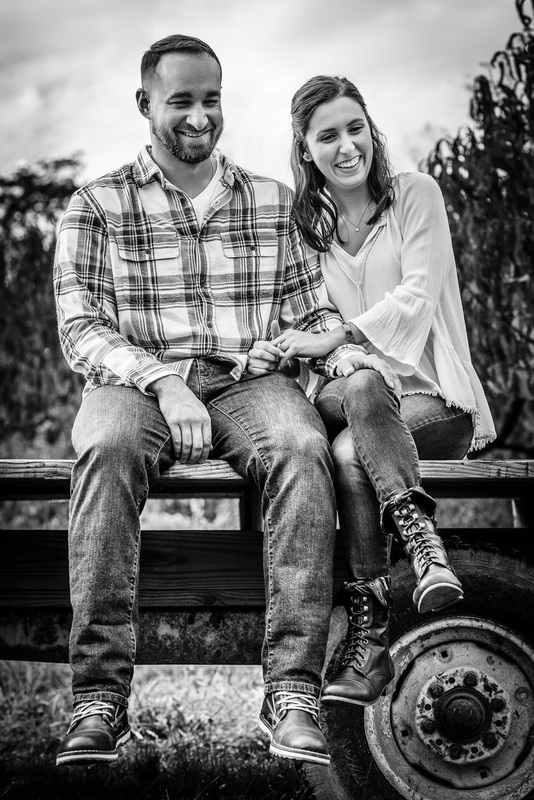 Thanks for allowing us to join you and we can not wait for the wedding!